Several recent scientific articles mention ricin again. Perhaps it is useful to remember its main characteristics and its place in the field of the CBRNE threat. 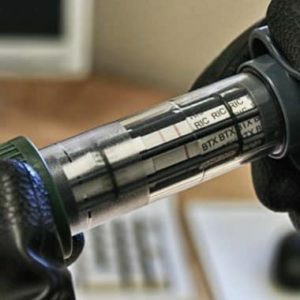 Among CBRN weapons, it is classic to distinguish between chemical and biological weapons. Chemical agents are gaseous, liquid or solid substances that can be used for their direct toxic effects on humans, animals and plants. Biological agents are micro-organisms that cause disease in humans, plants and animals, or that attack non-living materials (AAP-6). Biological agents are therefore pathogenic micro-organisms or their toxins. Live micro-organisms have the property of self-replication: the effect on the population can therefore be prolonged over time, after contamination, an epidemic in which live agents are transmitted from one individual to another can result in inactivating a large population. The toxins, on the other hand, are not self-replicative and are therefore closer to chemical agents, with the difference that their toxic value is much higher: the LD50 (50% lethal dose) is 0.001 micrograms per kg for botulinum toxin, whereas it is only 15 micrograms per kg of weight for VX. In the case of toxins, we can therefore talk about non-infectious biological weapons. The toxins that can be applied in the BCRNE include botulinum neurotoxin produced by Clostridium botulinum, enterotoxin B (SEB) produced by Staphylococcus aureus, Clostridium perfringens epsilon toxin and ricin produced by Ricinus communis, a plant widely distributed worldwide. The castor bean plant contains a powerful toxin particularly concentrated in seeds (or beans): ricin. Another toxin called ricinine, an alkaloid, is also produced by this plant. The latter substance is particularly dangerous for animals. These 2 toxins are not soluble in oil and will therefore not be extracted during the process of obtaining the oil: ricin oil does not represent any danger (provided that the oil is perfectly purified). On the other hand, the residual pellet resulting from the extraction of the oil is very rich in ricin, from which it can be easily isolated. Used for many years as a powerful purgatif-laxative, ricin oil and its derivatives are currently produced for applications in industrial lubricants, soaps, varnishes, paints and cosmetics. 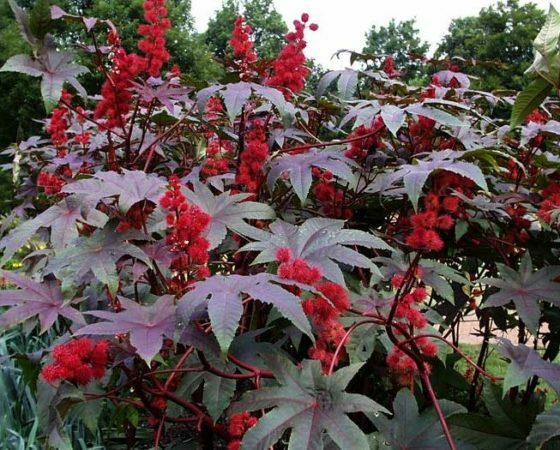 Castor bean plant seeds found in Egyptian tombs were used to extract oil for lighting. The seeds are highly toxic, generally considered to be one to two seeds chewed by a child or 8 seeds chewed by an adult can be fatal. This toxicity did not go undetected because already towards the end of the First World War, the United States had already considered making it a weapon of war under the name of component W, itself included in a W bomb developed with the British during the Second World War but never used. It is a glycoprotein composed of 2 chains A and B. It is a member of the same family as cholera and pertussis toxins. The 2 chains are connected by a disulfide bridge. The B-chain binds to the cell membrane, allowing the toxin to enter the cell through endocytosis. Chain A then attaches to the ribosomal 28S RNA of the 60S subunit and blocks protein synthesis. The severity of effects depends on the route of administration. The toxic effect is greater via the respiratory tract than the digestive tract (LD50 = 3-5 microgram/kg vs. 20 mg/kg), the toxin being partially degraded in the gastrointestinal tract. The important molecular weight and the load of the toxin prevent it from passing through the skin where it does not exert any toxicity. Inhalation with aerosols, for example, causes respiratory distress and damage to the lungs and respiratory tract. Ingestion results in gastrointestinal bleeding with necrosis of the liver, spleen and kidneys. A general weakening is followed by fever, shortness of breath, coughing, nausea, vomiting and diarrhea. Severe dehydration usually leads to death in 3-5 days. Injection is not a commonly used route, but it is the most effective route for ricin. It has only been tested very few times in humans. In one case, ricin was tested as a chemotherapy. Five hours after the injection a great weakness appeared, followed by fevers and vomiting. Death occurred on the third day in a multi-organ failure table. A chemist self-administered an aqueous castor plant seed extract of 2 x 150 mg intramuscularly: after the appearance of headaches and fever for 8 days the healing left no sequelae. During a suicide attempt, a 20-year-old man injected an indeterminate amount of ricin into his subcutaneous skin. He was admitted to the hospital 36 hours later with multiple pains, tachycardia, hypotension, acidosis… He died 18 hours after multiple organ failure. Another suicide attempt in a 53-year-old man who injected 13 castor plant seed extract resulted in hospitalization and discharge after 3 months. Ricin has been used twice as a biological weapon. In August 1978, a Bulgarian dissident in exile in Paris, Vladimir Kostov, felt a sting in his back while he was in the subway. He was hospitalized for 12 days with fever as his only symptom. A small ball pierced with 2 holes was removed from the wound. The patient survived his attempted assassination by the KGB. A little later in the year, Bulgarian dissident Georgi Markov was murdered by a KGB agent who used a modified umbrella as a projectile launcher. The killer sent a projectile containing 500 micrograms of ricin, from a distance of 1.5 to 2 metres. Markov recalls a sudden pain in his right thigh and a man wearing an umbrella who apologized to him. He was admitted to hospital the next day with fever and vomiting. Four days later he developed severe leukocytosis and died the same day. At autopsy, the same ball that was found at Kostov’s was removed from her right thigh. It should be noted that no traces of ricin were identified in either case but histopathological signs were found to be consistent with those given by this poison. Several other attempts have been made. In 2003,2 letters containing ricin were sent to the White House and Senator Bill Frist. In 2013, Everett Dutschke, a martial arts teacher, sent three letters to Senator Roger Wicker, President Obama and Judge Sadie Holland, which were positively tested for ricin. Since then, ricin has been classified as a Class A biological weapon. 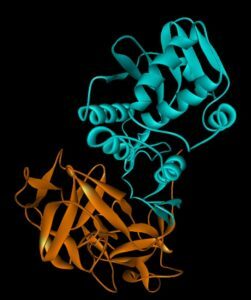 The cytotoxic activity of ricin has been used experimentally in anti-cancer therapies by binding chain A to a monoclonal antibody. The results are encouraging but there are still many side effects. It is very difficult to achieve because the symptoms may initially be confused with asthma, poisoning or bacterial diseases such as diphtheria, anthrax or plague. Transaminases are elevated and markers of inflammation are present. Hemolytic anemia and hydro-electrolytic and acid-base imbalances are more characteristic of ricin. On the other hand, the product is detectable in urine but only 3 days after contamination. The presence of ricin in an aerosol or on surfaces is more likely to assist in diagnosis. It is only symptomatic: mainly based on decontamination (gastric washing, charcoal) and transfusions, the main aim is to maintain the electrolytic balance and prevent hypotension. Anti-chain A and B antibodies have shown encouraging results in animals and may be the basis for future immunoassays. Vaccines are currently being tested. Decontamination can be carried out with 0.5% sodium hypochlorite. During the Second World War, the United States in collaboration with Canada, the United Kingdom and France produced 1,700 kg of ricin. The United Kingdom designed a bomb but it was never used. In 1939, a French military program had concluded that the lungs were not the right entry point for ricin, but in fact it was the thermal effect of the explosion that inactivated the toxic product. The former Soviet Union tried to solve the problem but failed because of the prohibitive cost. In 1944 Japan tested it on prisoners of war. In 1988 Iraq prepared 10 liters of ricin to be incorporated into artillery projectiles but the disastrous effect led to the end of the programme. Al Qaeda tried to extract ricin, but yields were too low for it to be exploited. A number of ricin identification systems are available on the market. In its catalogue, Ouvry presents the IMASS system which allows the identification of ricin on site in powders, surfaces or liquids in 15 minutes. The principle is that of strip immunochromatography. This system also allows the identification of other biological toxins such as botulinum neurotoxins A and B and Staphylococcus enterotoxin B to be identified. Five bacteria of the threat are also identifiable with IMASS. The castor plant is cultivated all over the world without any control. The extraction of ricin is not very complicated but obtaining good production is not easy. Diagnosis is difficult to make as the symptoms are non-specific. There’s no antidote, no cure. Field identification is possible with systems such as IMASS, which facilitates diagnosis in the patient. This may sound frightening, but it’s a good thing to keep in mind that if the threat exists, the probability of its implementation is still relatively low. T. Berger, A. Eisenkraft, E. Bar-Haim, M. Kassirer, A.A.Aran, I. Fogel. toxins as biological weapons for terror-characteristics, challenges and medical countermeasures : a mini-review. Disaster and mil med 2016, 2, 3-7. R. Aggarwal, H. Aggarwall, P.K. Chugh. Medical management of ricin poisoning. J. Med Allied Sci, 2017, 7, 82-86. M. Diac, M.C. Matei, C. Manea, C. Schiopu, D.B. Iliescu, C. Furnica, R.O. Chistol, A. Knieling. Intoxication with Ricin – Biochemical weapon. Rev. Chim, 2017, 68, 1427-1430. This entry was posted in blog-en and tagged biological agent, Detection, History, Medical. Bookmark the permalink.